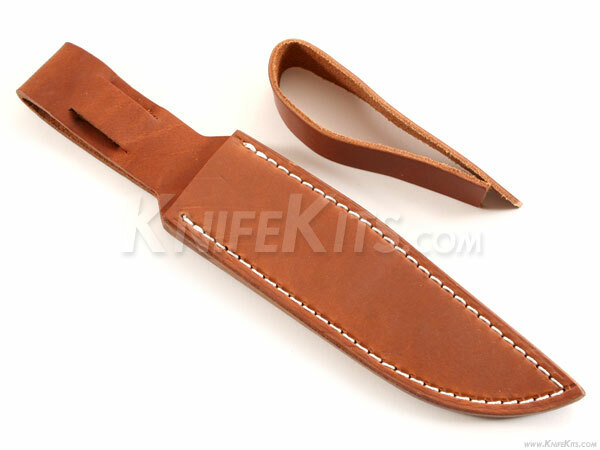 This sheath model is a veggie tanned, USA made leather drop-style universal design with an integrated belt loop. It is stitched with heavy duty nylon thread and is very stout and sturdy. This model works very well with EDC-sized knives, such as 6.5" x 1.12" (=/-) hunting/skinning/fighting blades, and is a high-quality side-carry sheath. It is reinforced and features sewn-in leather welting. 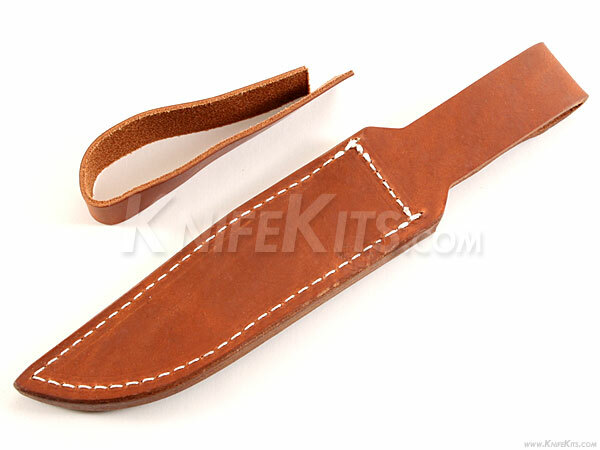 It also features a 9.5 x .80 inch handle retainer strap that can be cut to size and fitted with any number of CKK custom snaps or tied-off with cording for handle cinching.